Feinstein began by noting she was “deeply disappointed” that Obama’s choice for the Supreme Court, Merrick Garland, did not get the luxury of a hearing. Nevertheless, she said it is now the committee’s job to determine whether Gorsuch is a “reasonable mainstream conservative” fit for the highest court in the land. 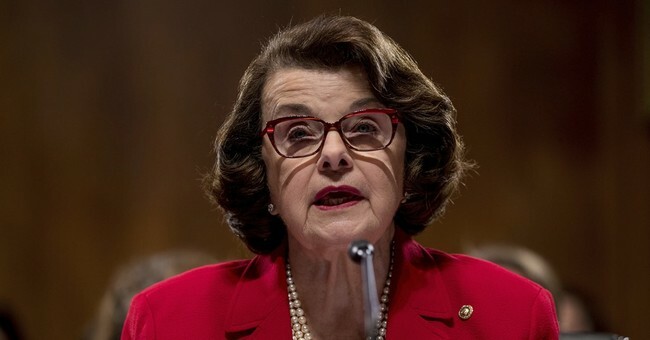 Feinstein noted that at the time of the document’s initial drafting, slavery was still an institution and women were still being burned at the stake for witchcraft. If the document had not evolved with culture, she added, we would still have segregated schools and women wouldn’t be equally protected under the law. Feinstein also voiced her concern as to how Gorsuch would rule on issues dealing with the environment, health care, billionaires and large corporations and their influence on elections, gun rights, and women’s reproductive rights. Roe v. Wade and women’s right to privacy “is not theoretical,” she insisted. The good news is Gorsuch was fully prepared for these talking points. Senate Judiciary Committee Chairman Sen. Chuck Grassley (R-IA) told him not to “worry” about such recycled attacks in his opening statement. In his own remarks, Sen. Mike Lee (R-UT) reminded Feinstein that in liberal justice Elena Kagan's confirmation hearing for the Supreme Court in 2010, even she said "we are all originalists."